The Nickel Plated Half Link for #35 Chain attaches to the chain on your sewer camera transporter to secure your chain and make sure it is linked to the device. Sewer camera transporters need to be able to move through pipelines with ease and half links allow the chain to move your transporter with speed and accuracy. The Nickel Plated Half Link for #35 Chain is made from the high-quality materials that lengthen the lifespan of your sewer crawler. At TruGrit, we provide industry professionals with affordable parts that can aid the function of their sewer camera transporter. Plating the half link with nickel strengthens the link ensuring its durability. 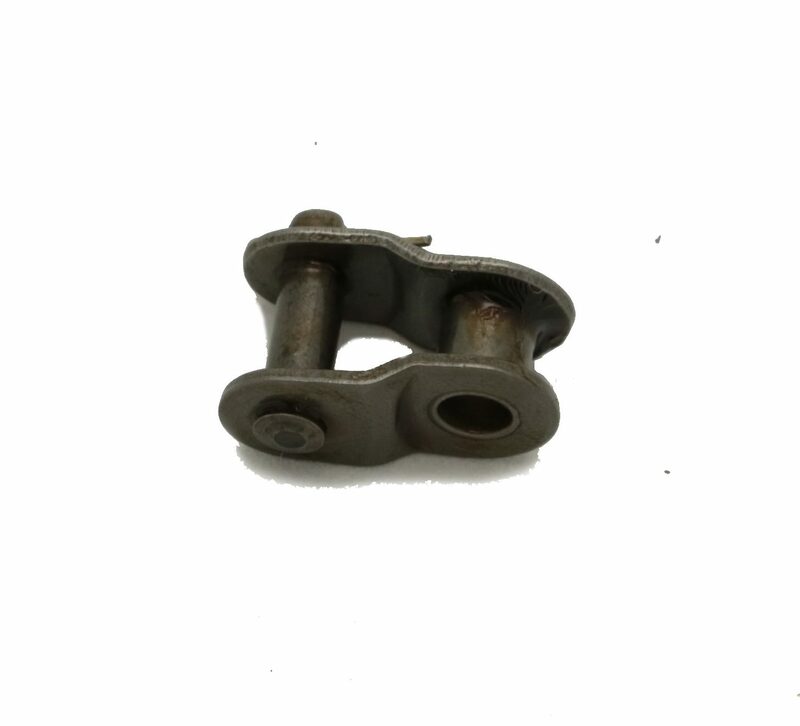 The Nickel Plated Half Link for #35 Chain allows professionals to service one part of the transporter without replacing the machine all together. This product pertains to: Sewer and Drain Transporter Link Parts, Sewer Transporter Parts, Sewer Camera Transporter Chain Link Parts, Sewer Transporter Chain, links, & Cleats, Sewer Transporter Half Link Replacement, Sewer Transporter Equipment, Residential Sewer Camera Inspection Parks, Trenchless Sewer and Drain Inspection Equipment, Sewer Camera Crawlers, Chain Links Replacement for Sewer Camera Transporters, Commercial Transporter Equipment, Municipal Sewer and Drain Transporter Replacement Parts, and Trenchless Sewer Camera Transporter Parts.